I am a huge fan of loyalty cards and one of my favorite's is the Nectar card. 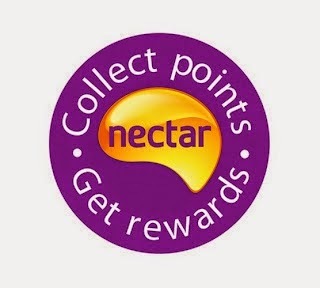 The Nectar card can be used to collect points in a few select places such as Sainsbury’s, Homebase and at BP garages. Unfortunately me and Ben shop at none of these places however over the last few months I have learnt other ways to collect points. If you go to Nectar.com and click through to a shop say ASOS and buy something on the ASOS website, you are able to earn points on your nectar card. One of our favourites places to do this is Just Eat. Ben and I order a takeaway most week's and we find these points really do add up, no other website reward Just Eat customers so we love that Nectar do. 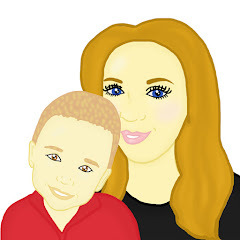 Ebay is another place where we manage to collect point and although I tend not to buy much on Ebay, since linking my Nectar card to my Ebay account I have found I have gained a few extra penny's which always come in handy. I love that I can be rewarded for things I need to buy. The Nectar app is free to download and can be downloaded to many phone/tablet devices. I personally have the app on my Iphone and my tablet. The app gives you the opportunity to opt in to special offers from retailers such as Sainsbury’s and BP, when you go to shop there you can gain 300 extra points for buying a certain thing. So far I have gained 200 extra points for buying a deodorant I needed which was on offer. Once I got the points back for it it made the deodorant free. The app also gives you the chance to earn points by doing internet searches on your phone. You can earn one point for every two searches and can earn up to 100 points a month, this is great money maker if you’re often looking things up on the go. Nectar Canvas gives you the chance to answer surveys in return for points. I have done a few surveys however I feel they are a waste of time. You can click through half a survey and then are told you are not suitable for the survey. Instead of rewarding you with a few points they only add you in a competition to win lots of nectar points which is very unlikely when you think of the masses of people who do the surveys. On a plus side if you are suitable for the surveys I have found you can gain over 250 points at a time. The nectar toolbar can be downloaded onto your browser on your computer. It allows you to earn points for doing internet searches. The toolbar works the same as the app it is one point for every two searches. At Christmas I got a email to say that if I spent a certain amount of Nectar points, I would get a the same amount of points back. At Christmas I was able to get 2 big boxes of Thornton's chocolates free from Argos because of this email. I was thrilled to get some free presents and it took very little effort to do so. In the last 3 months I have managed to earn £11 on my Nectar Card. I am saving my points for a Argos toy shop for Maxwell at Christmas. I have found that you do have to put a little work into getting "free money" however I find it is worth my time and I enjoy doing the majority of the things that Nectar offer you to gain free points. If you would like to sign up to a Nectar card please check here for details. I so the weekly shop with Sainsbury's and nectar points quickly build up. Almost as easily spent with Argos! Can also collect with eBay. I used to buy my phone top ups at Boots and got quite bit back from that but they do not give points now. I really must look into this, not sure if my card is linked to Ebay or not. I have also recently linked my ebay with nectar.